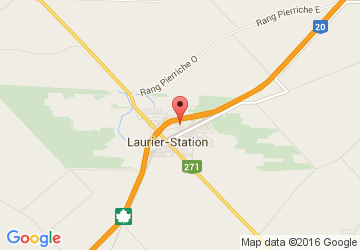 Automobiles Guy Beaudoin | Jeep, Chrysler, Dodge, RAM News in Laurier-Station. Jeep, Chrysler, Dodge, RAM News in Laurier-Station. There's no article for the moment. At Automobiles Guy Beaudoin we pride ourselves on making it worth your trip from wherever you are Laurier-Station or Quebec city to have all your automotive needs taken care of, with professionalism and a smile. So whether you're looking for a new Dodge, Chrysler, Jeep et RAM vehicle, in search of a quality used car, truck or SUV, or in need of expert automotive service, we invite you to contact us online or by telephone at 1-888-590-2863, or come down and see us at our convenient local store.